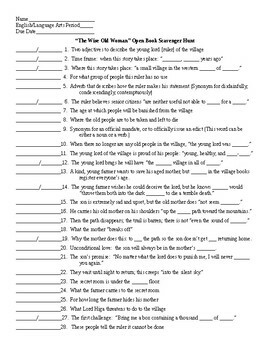 This two page, 50 question scavenger hunt follows the story in chronological order. Students have to find the answers to the clues as they read or reread the story. This scavenger hunt forces students to read carefully and look for details. This activity works well as either an individual, directed reading or as a partner assignment. It can also be given as a homework sheet or open book quiz. 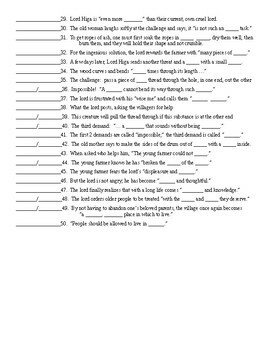 An answer KEY is provided, making this four pages total.